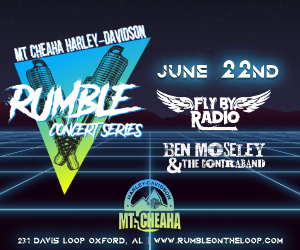 Fly By Radio with special guests Ben Moseley & The Contraband will be heating up the stage as part of our Summer concert series! Admission is Free! No Harley? No Bike? No Problem! Everyone is welcome at the 2019 Rumble Concert Series.